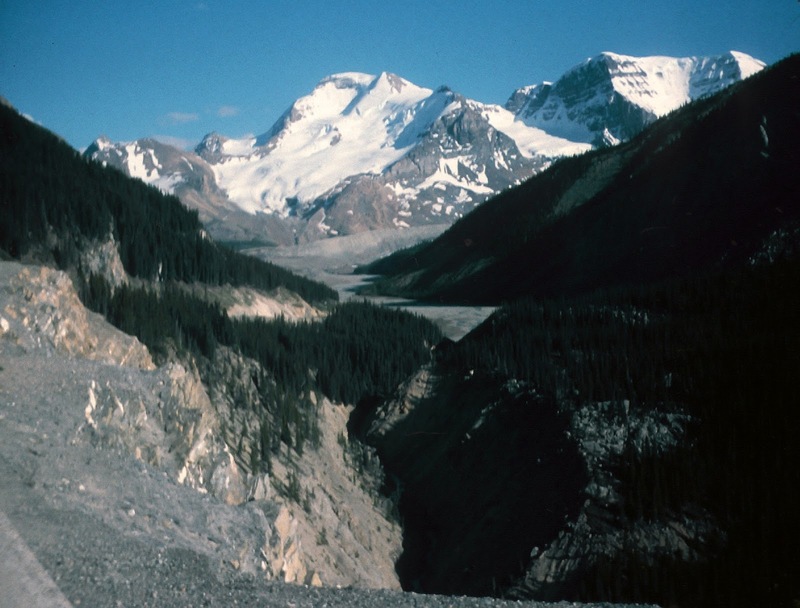 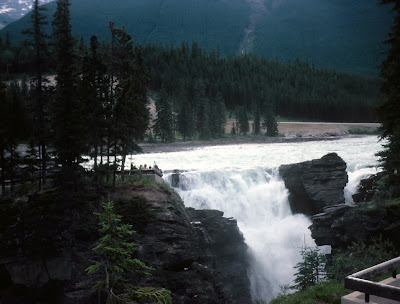 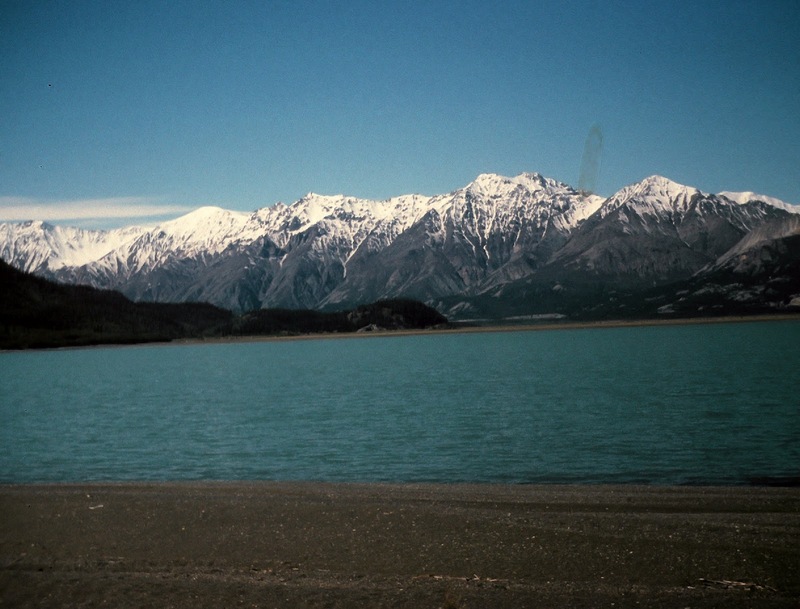 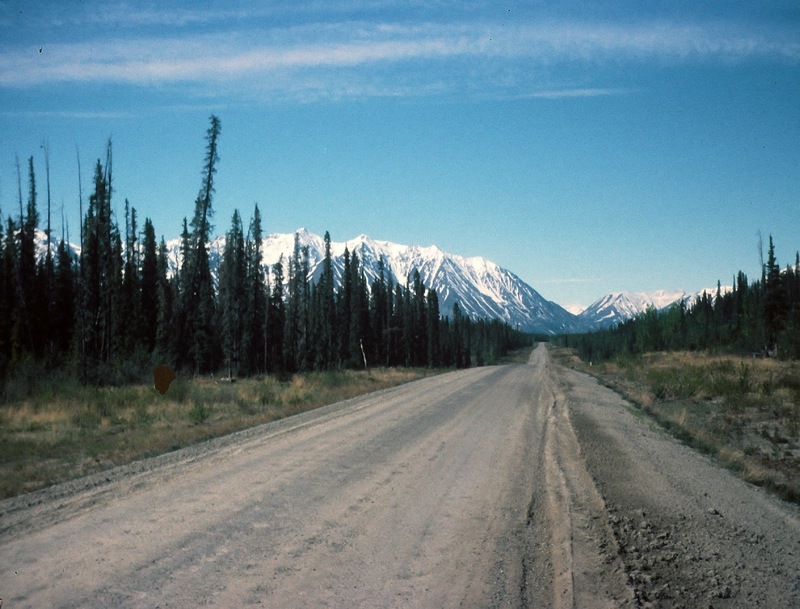 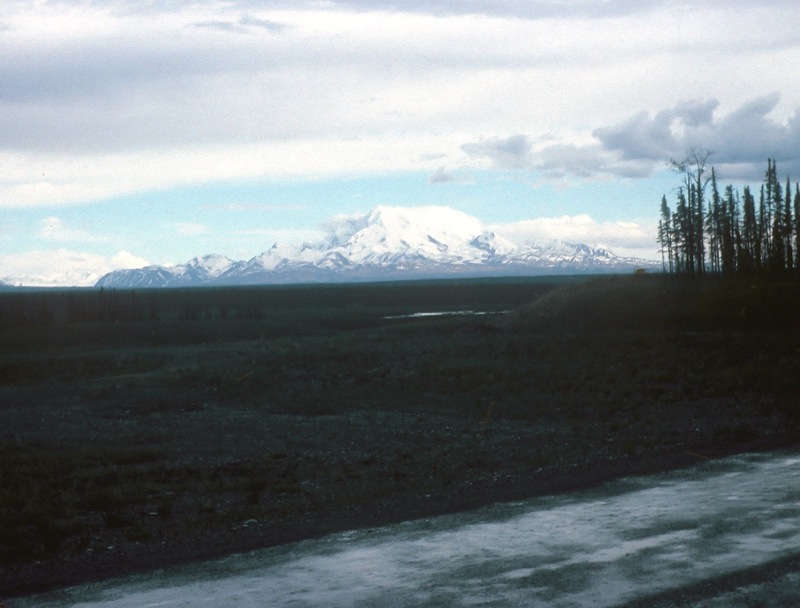 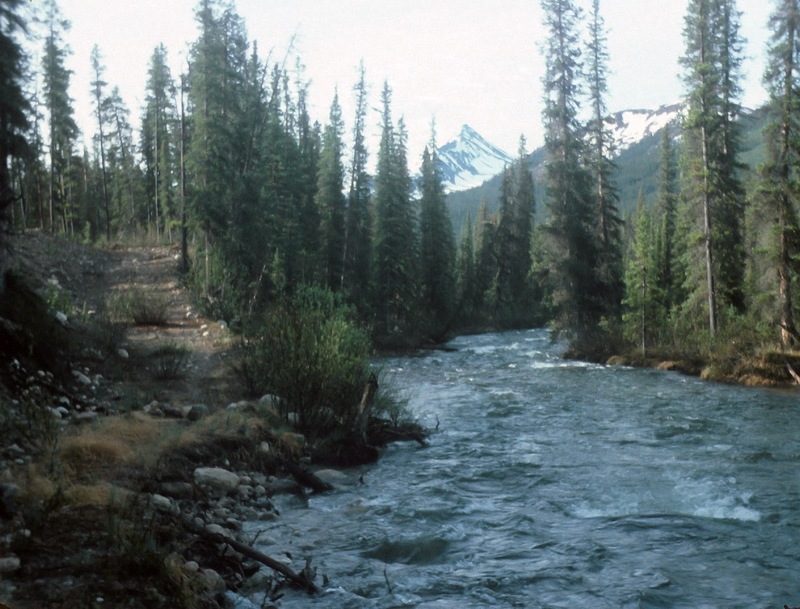 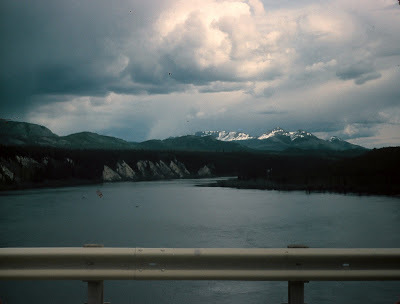 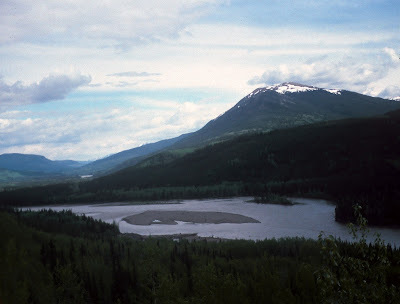 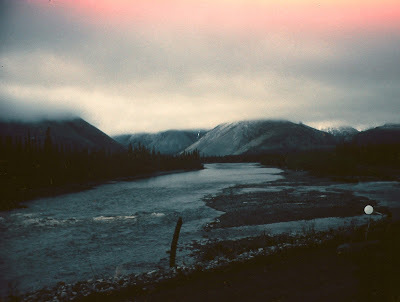 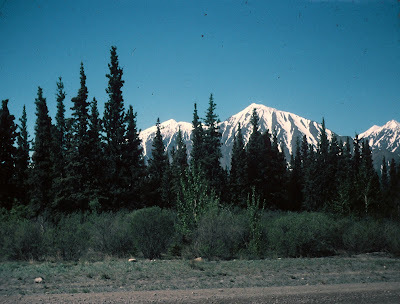 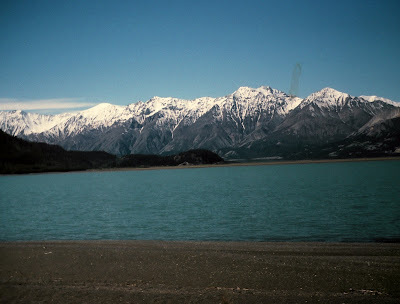 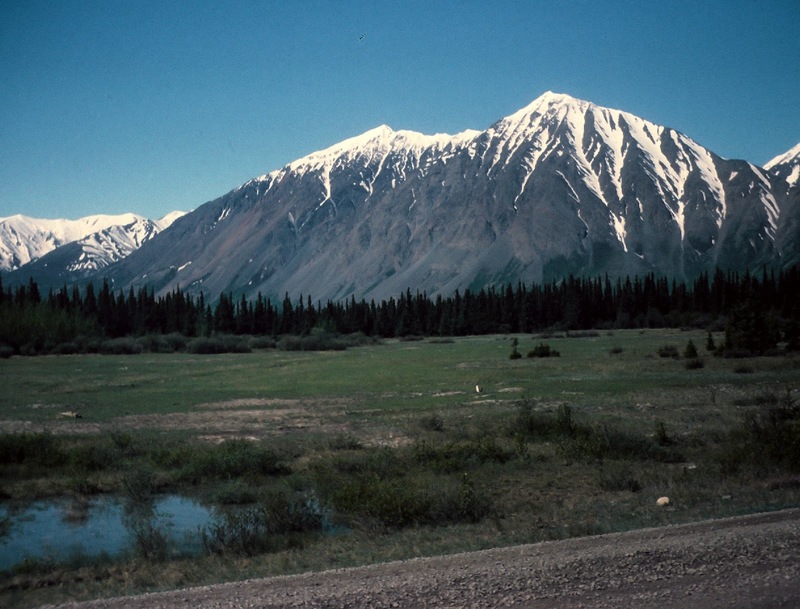 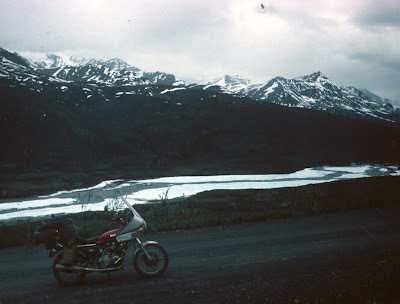 My second trip to Alaska, which I took four years after the first, turned out to be a struggle for survival. 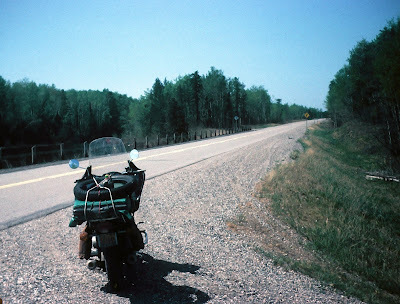 It was a tough trip from beginning to end. 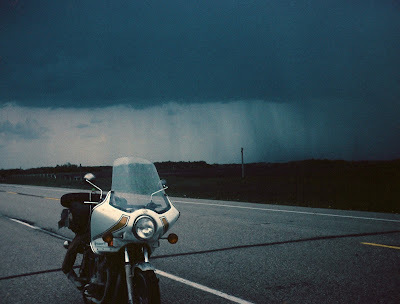 Almost every day of the trip I rode in rain, sleet, snow, or hail; and on some of the days, I rode in all four on the same day – and sometimes all day. 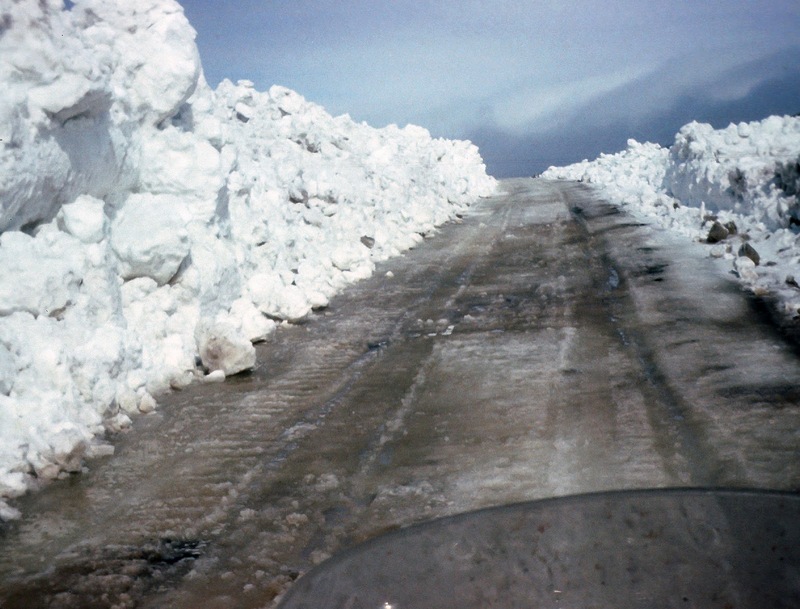 During the trip, I became stranded for four days in a blizzard 12 miles from the Arctic circle, 231 miles up a closed road almost a week before it was due to open for the season. 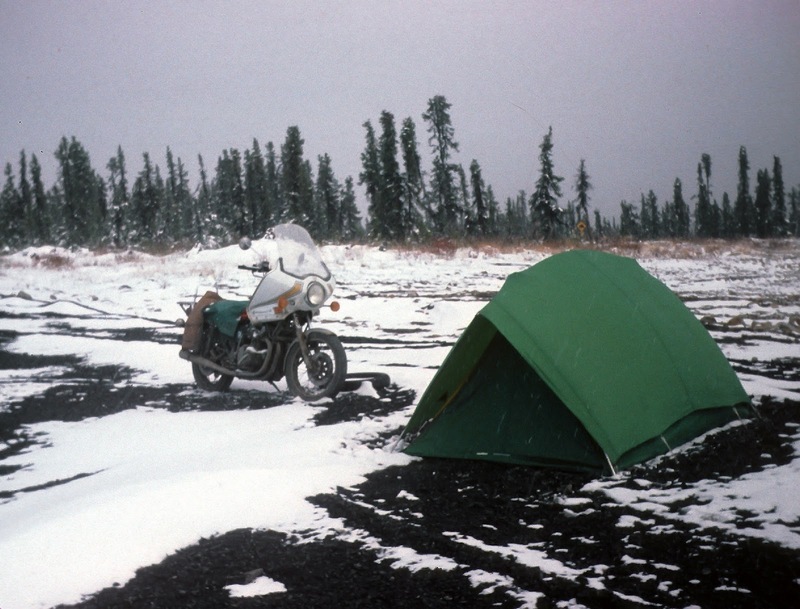 I slipped into hypothermia in my tent as the storm raged outside. 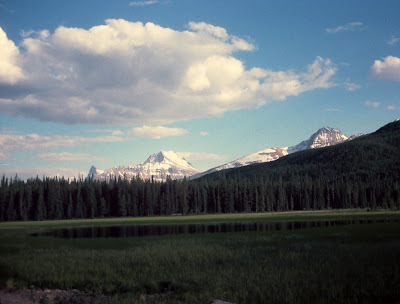 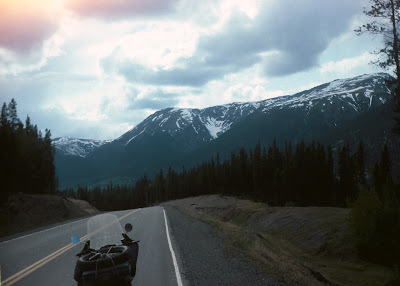 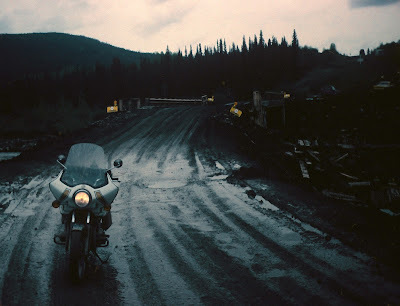 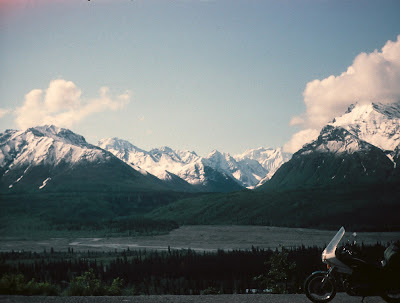 On my return trip home, about a week later, I rode from Anchorage all the way to Eureka, Montana, a distance of more than 2,400 miles on mostly wet, slippery dirt roads in some of the worst weather imaginable, without ever seeing a bed, a shower or the inside of a building for four days. 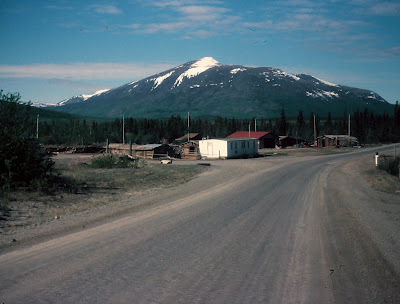 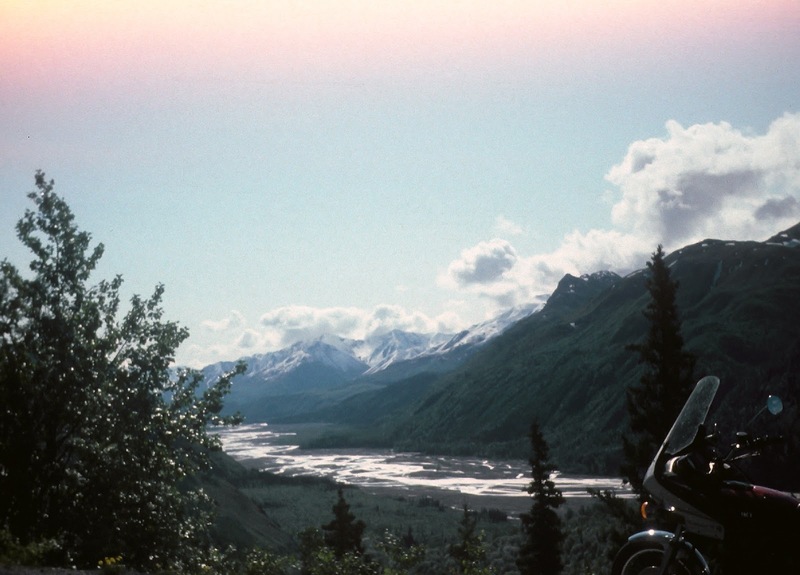 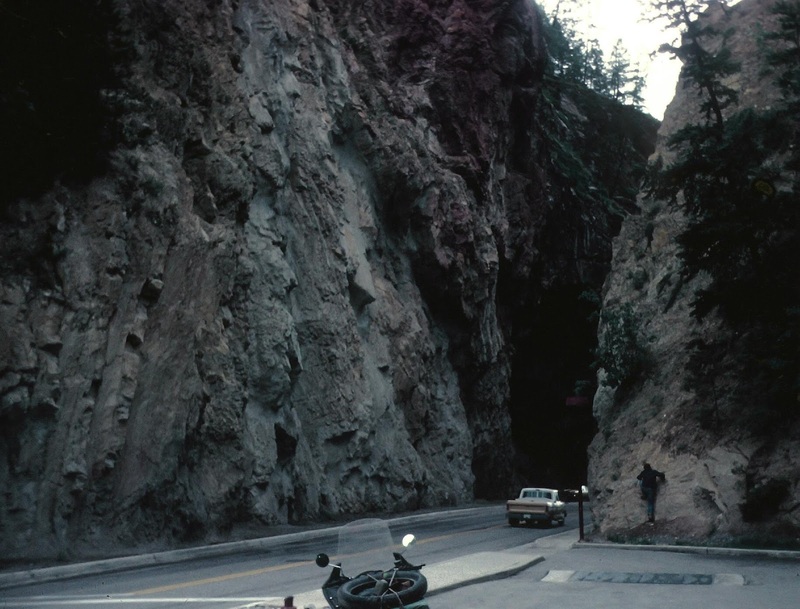 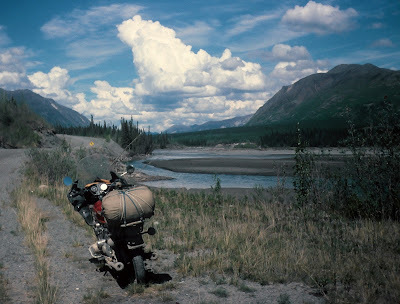 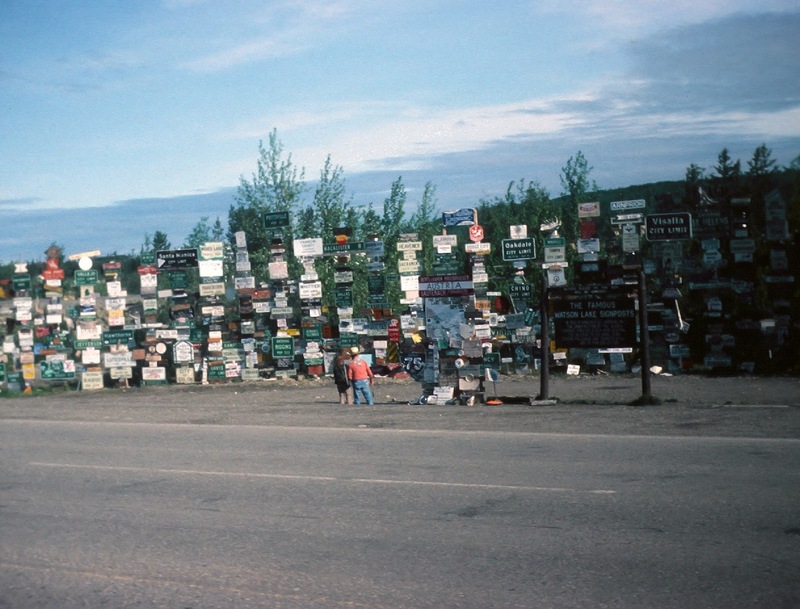 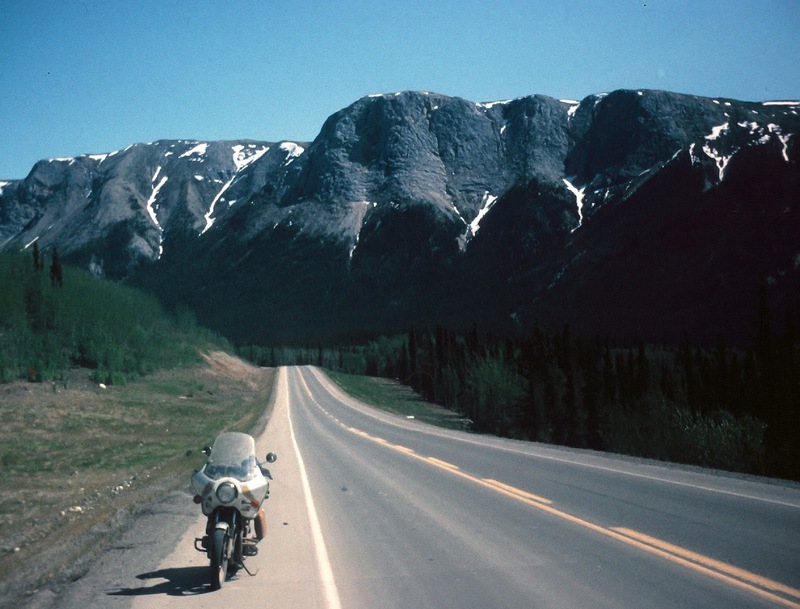 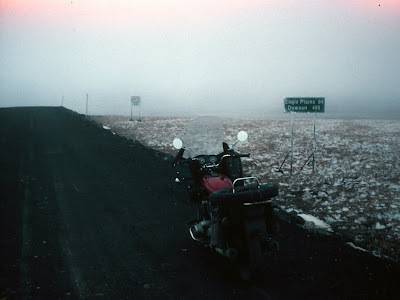 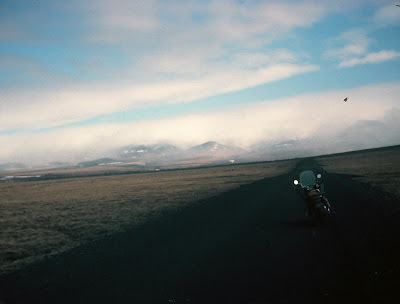 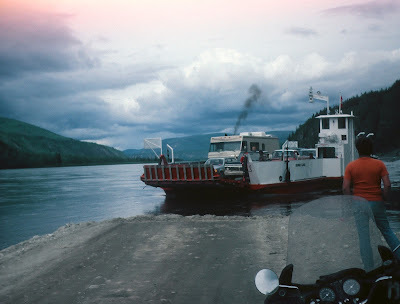 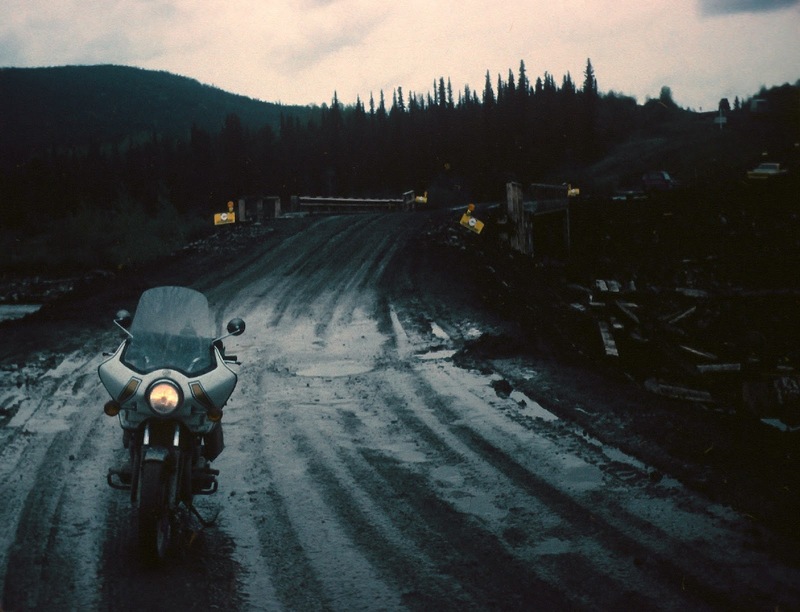 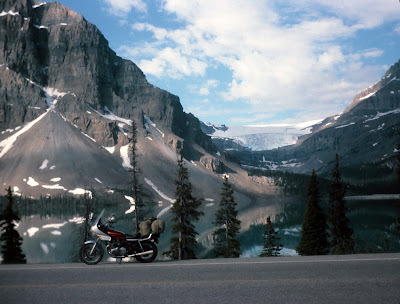 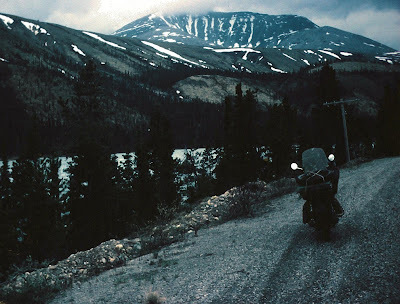 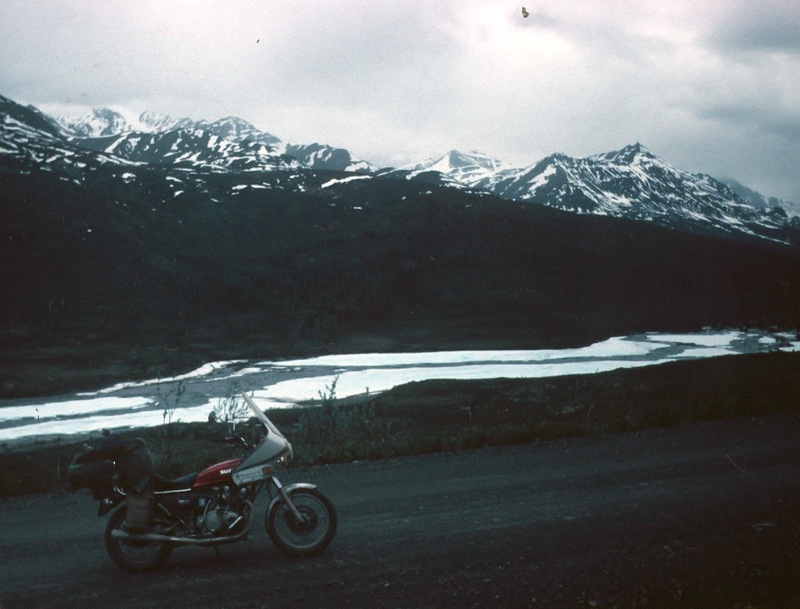 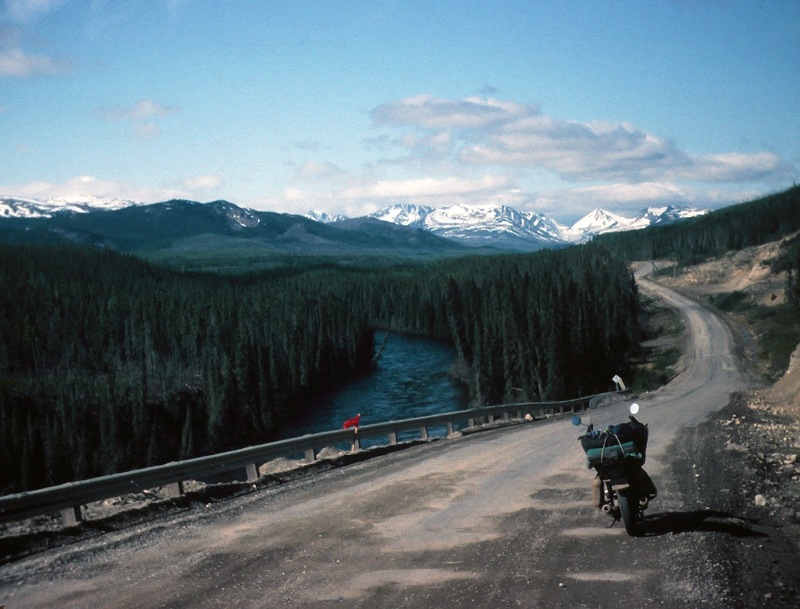 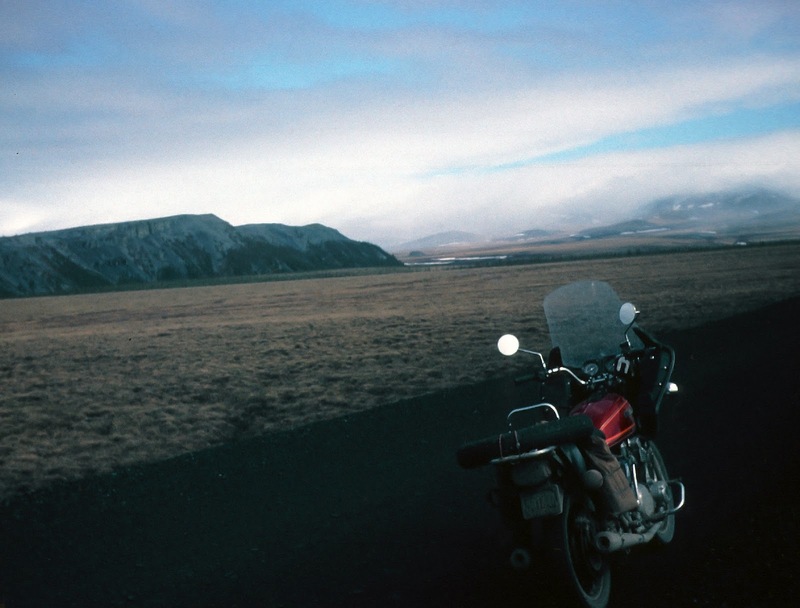 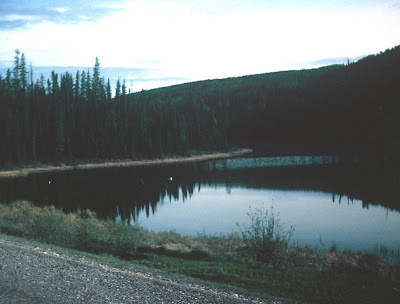 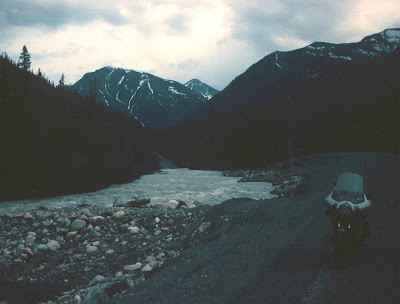 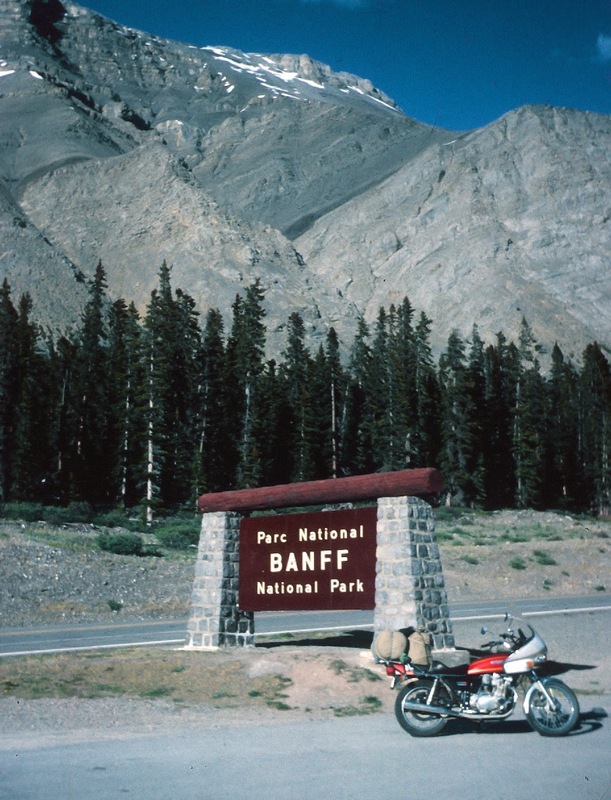 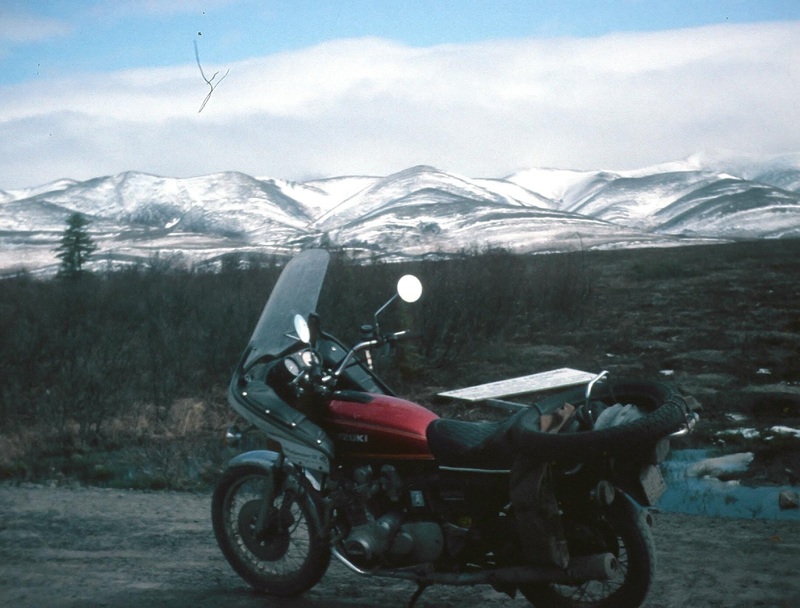 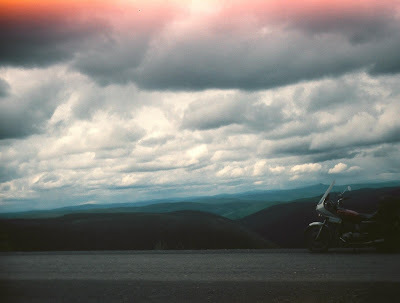 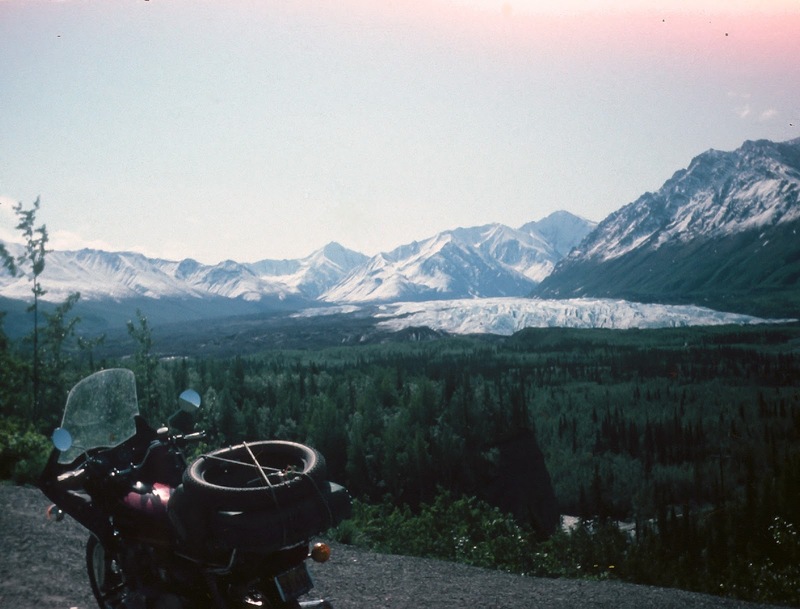 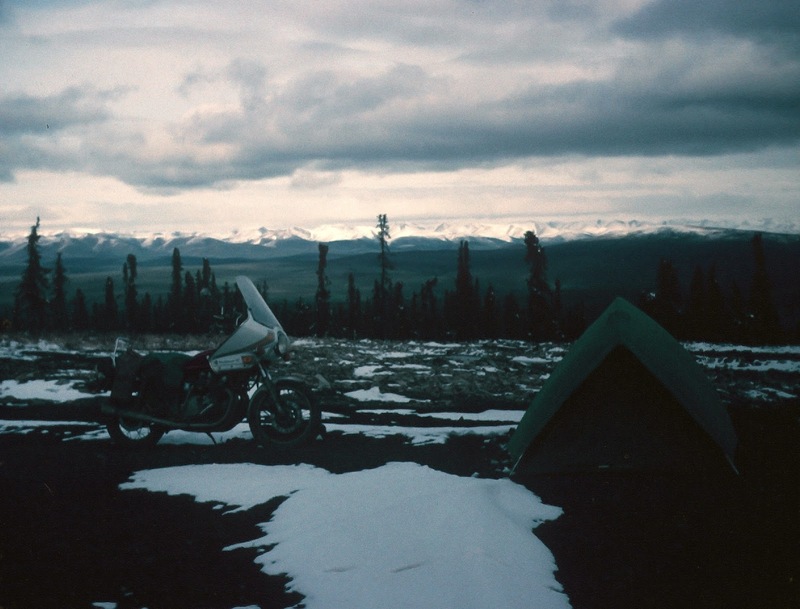 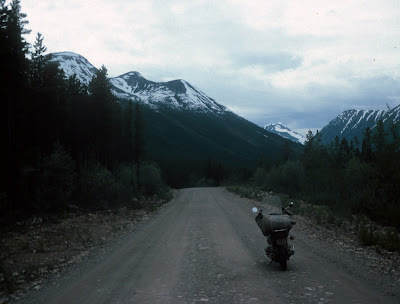 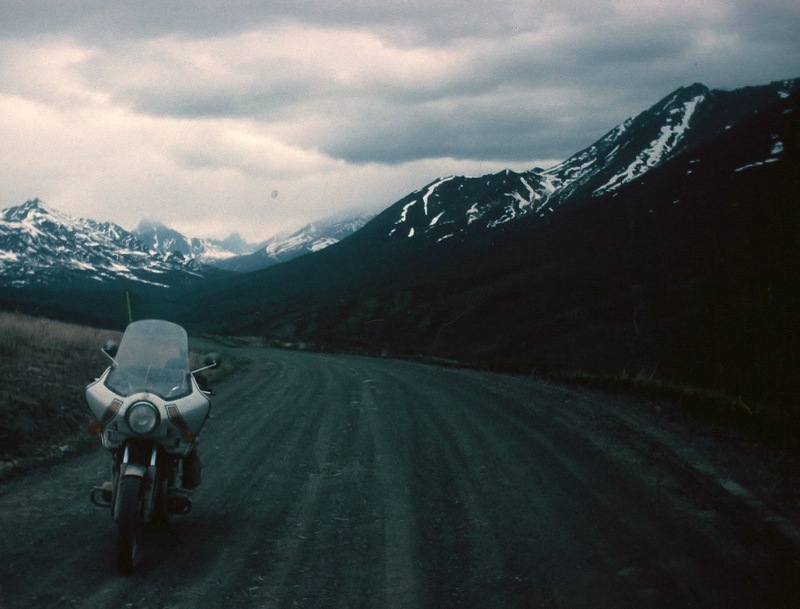 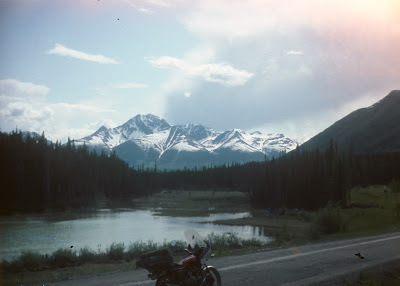 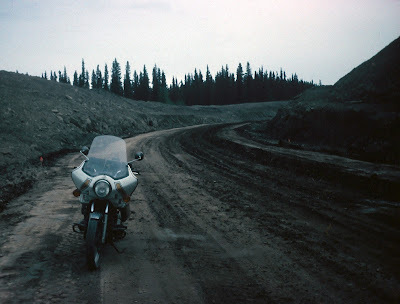 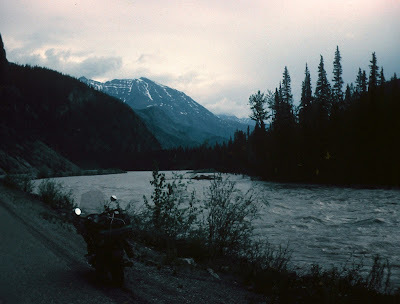 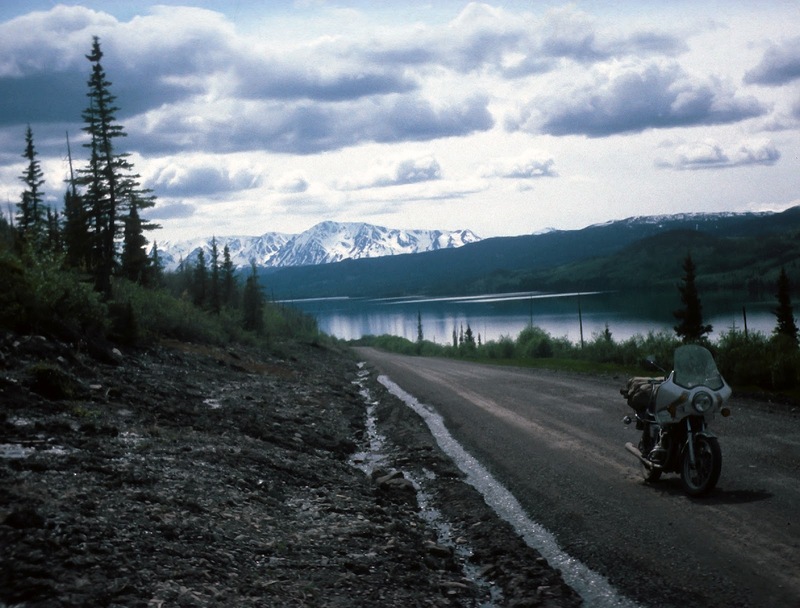 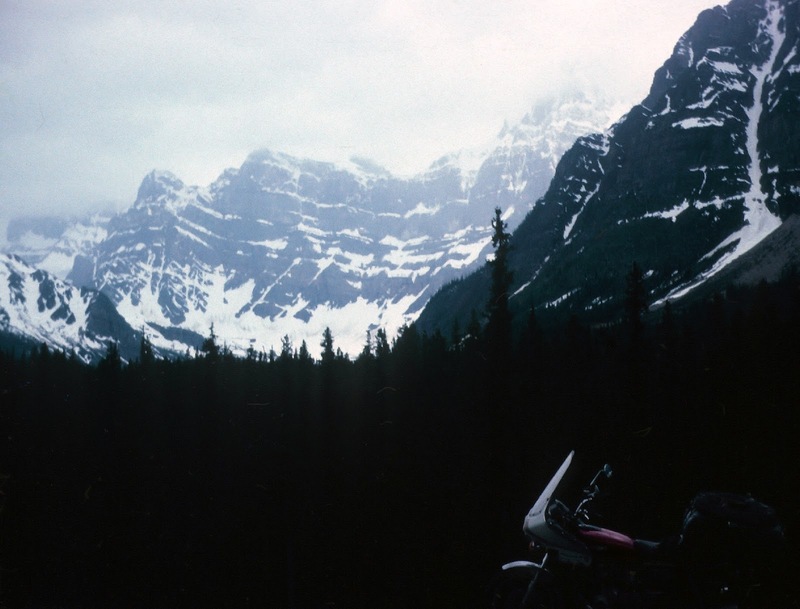 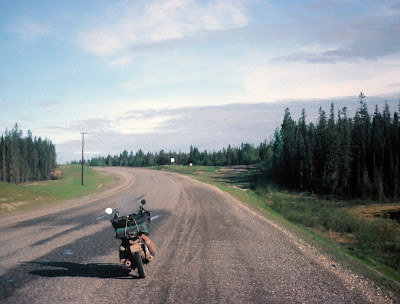 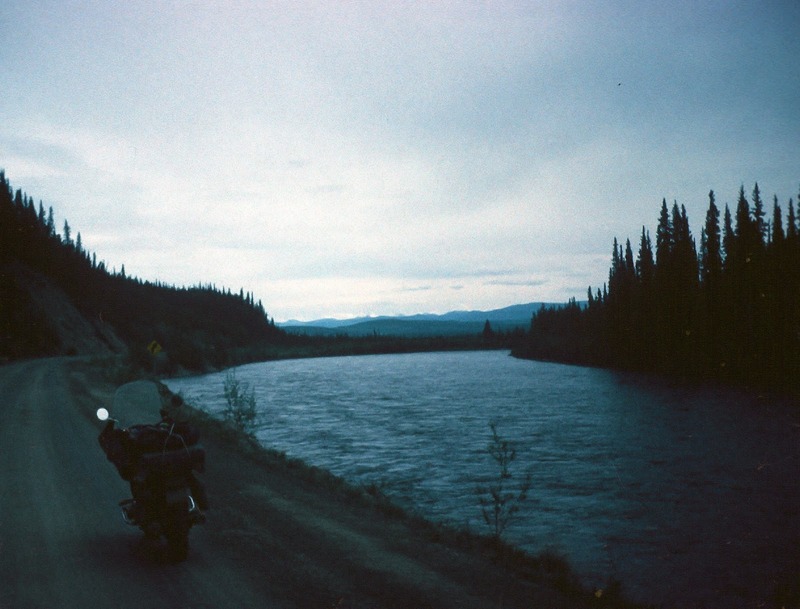 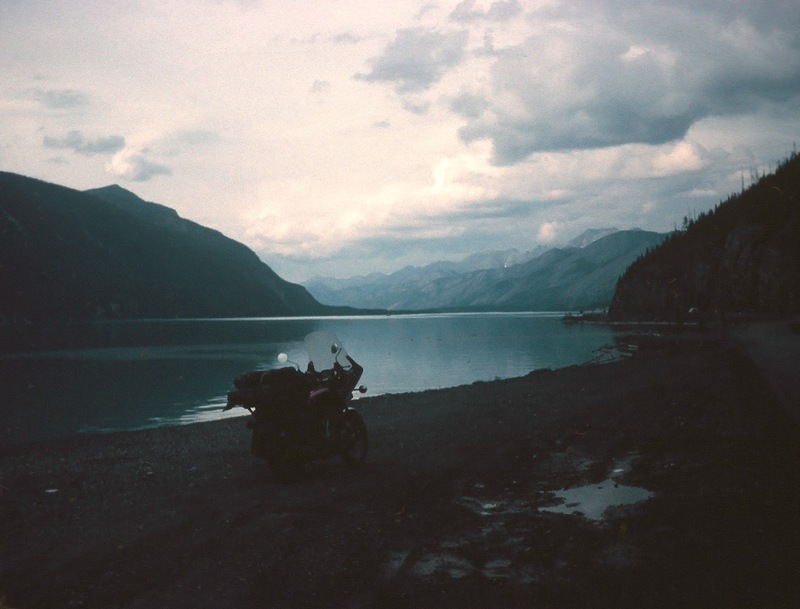 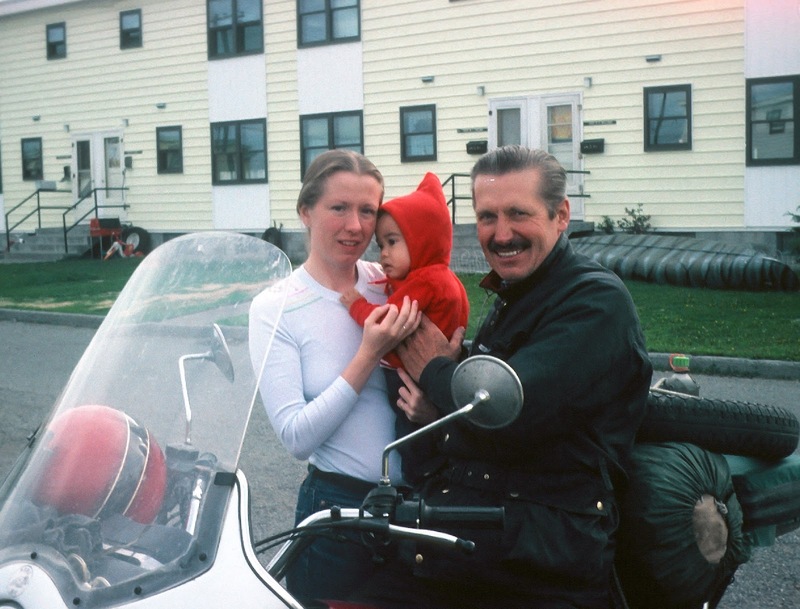 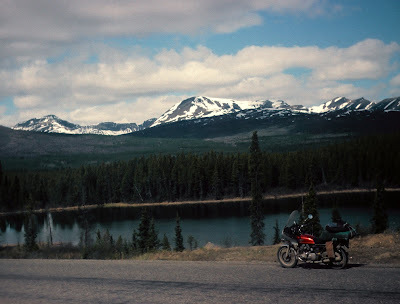 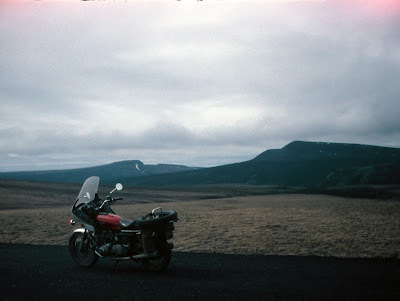 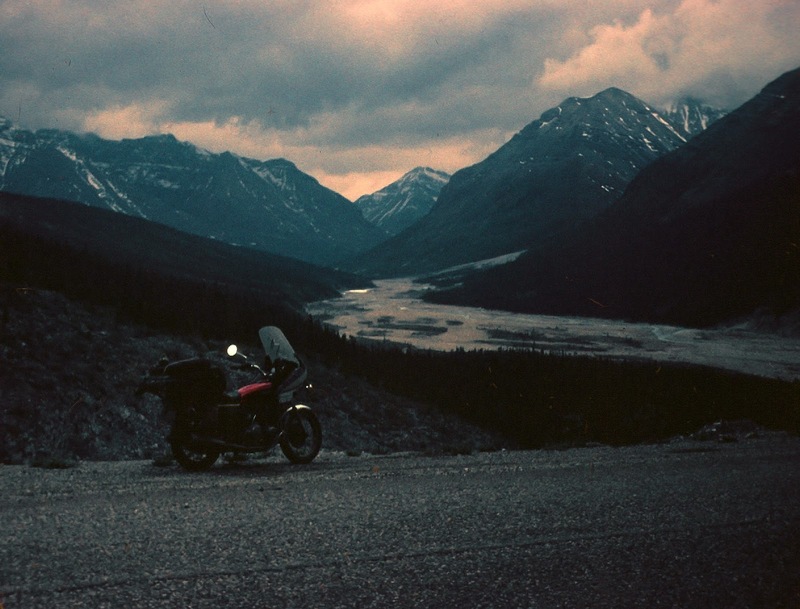 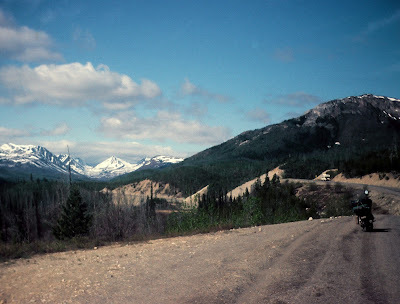 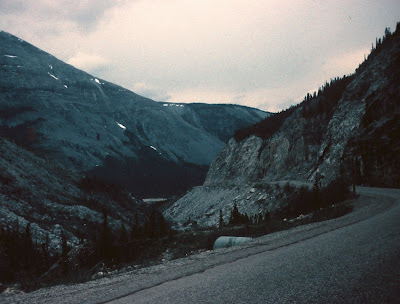 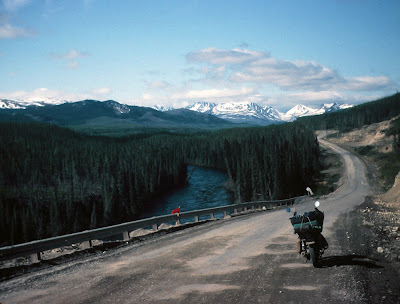 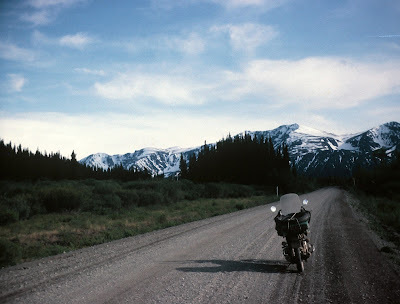 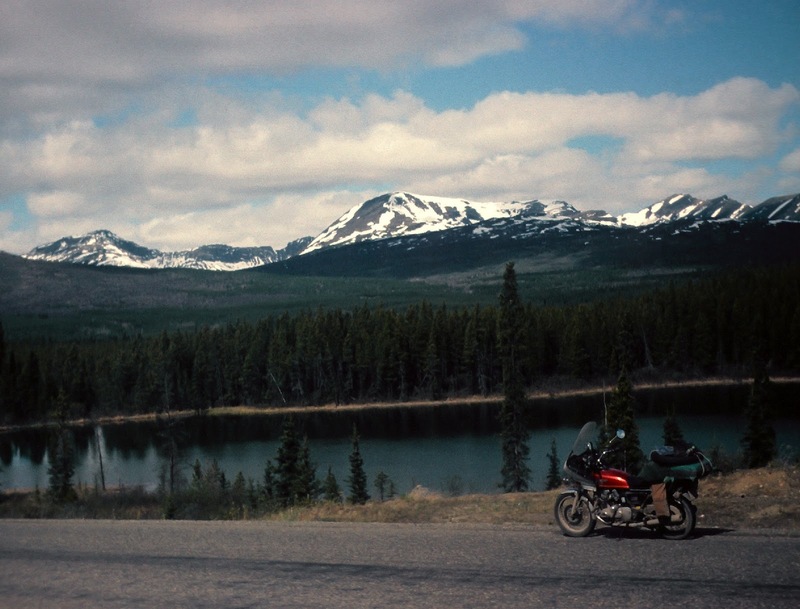 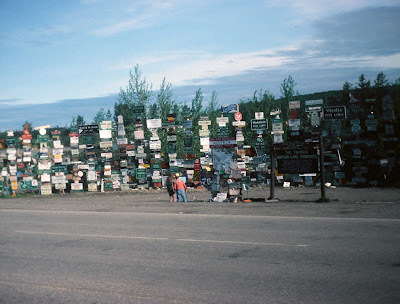 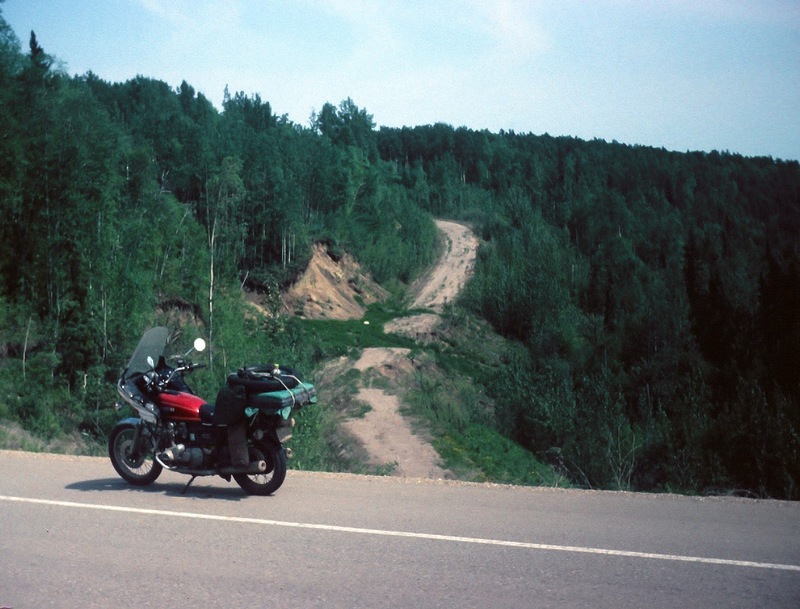 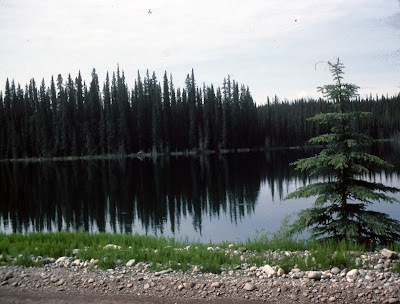 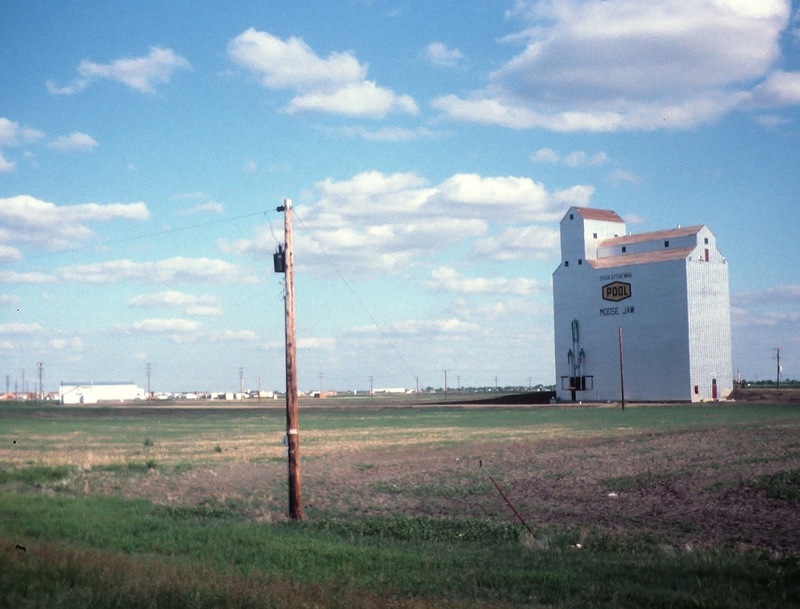 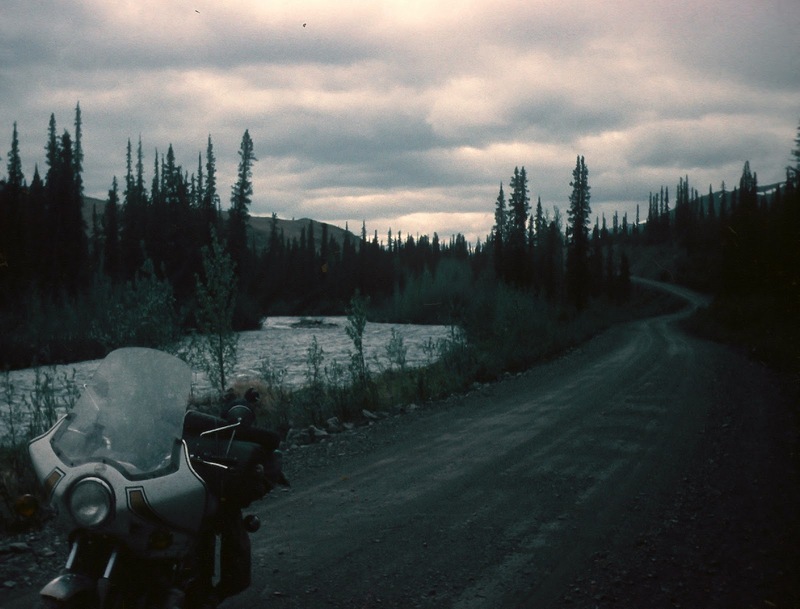 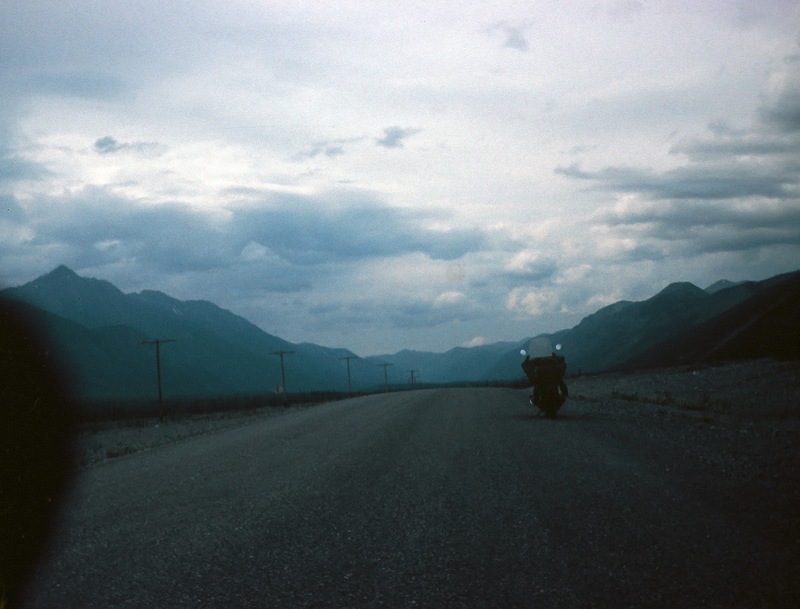 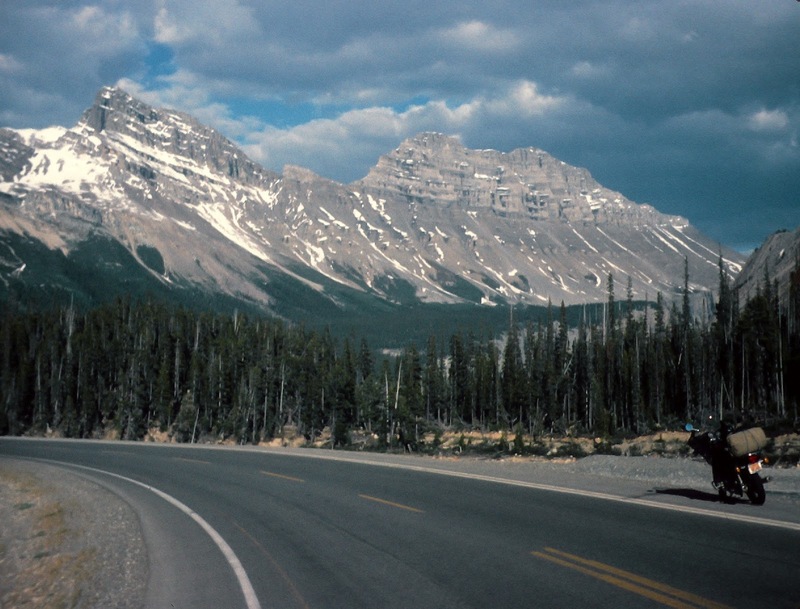 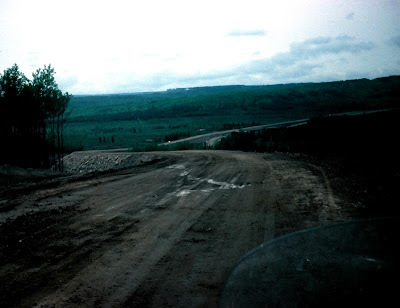 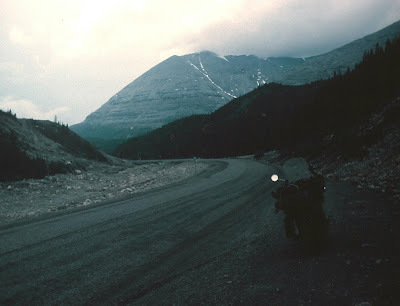 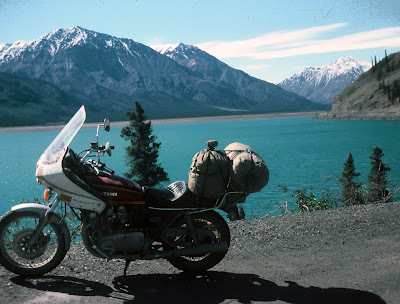 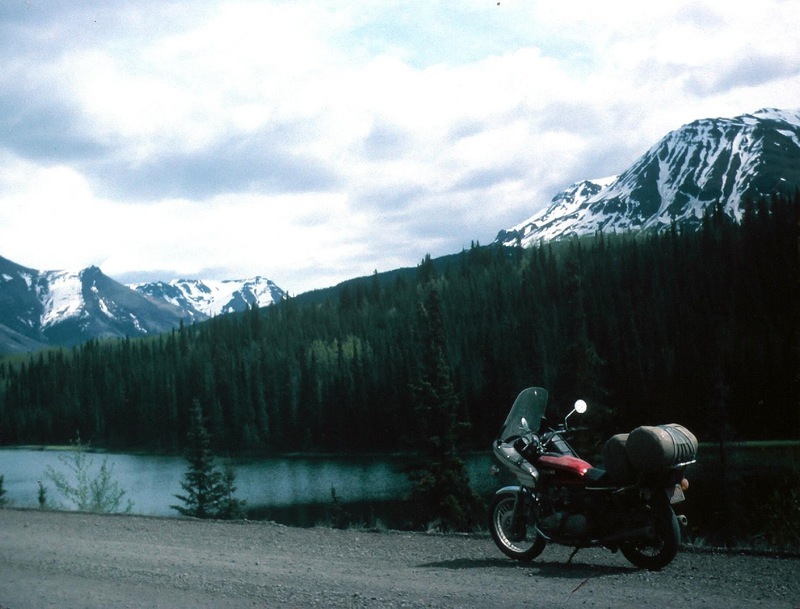 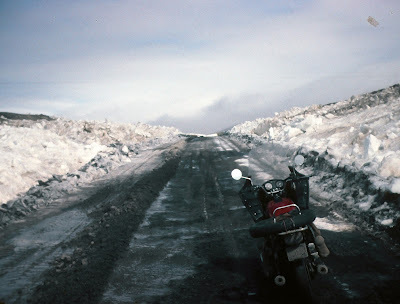 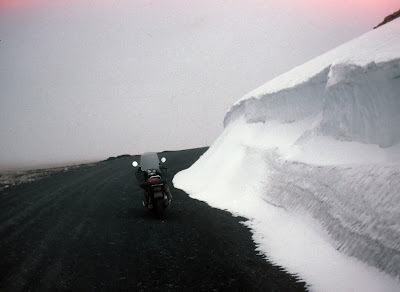 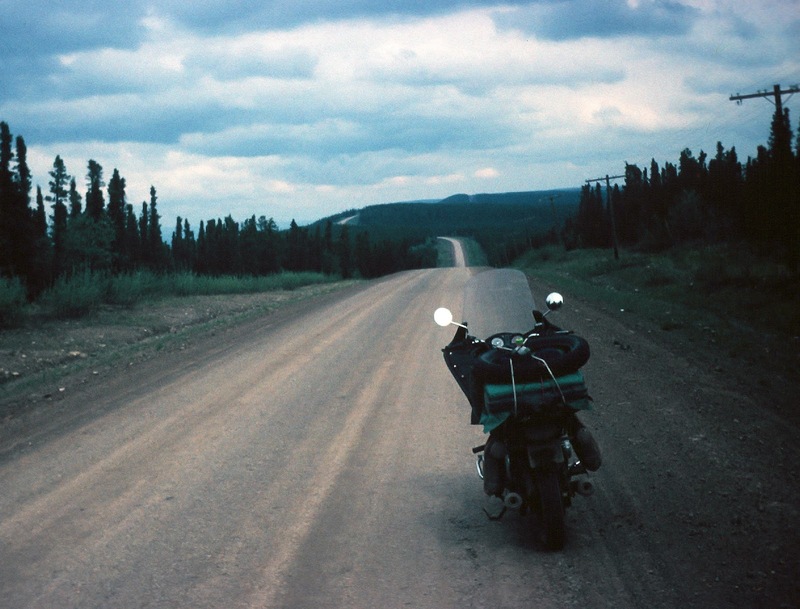 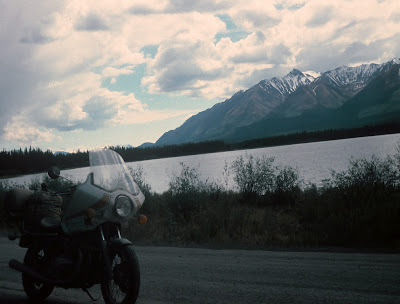 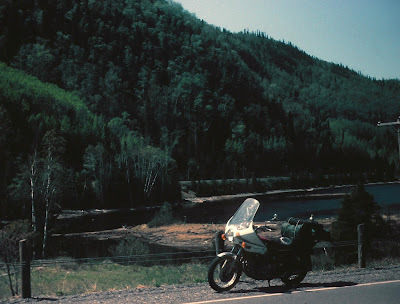 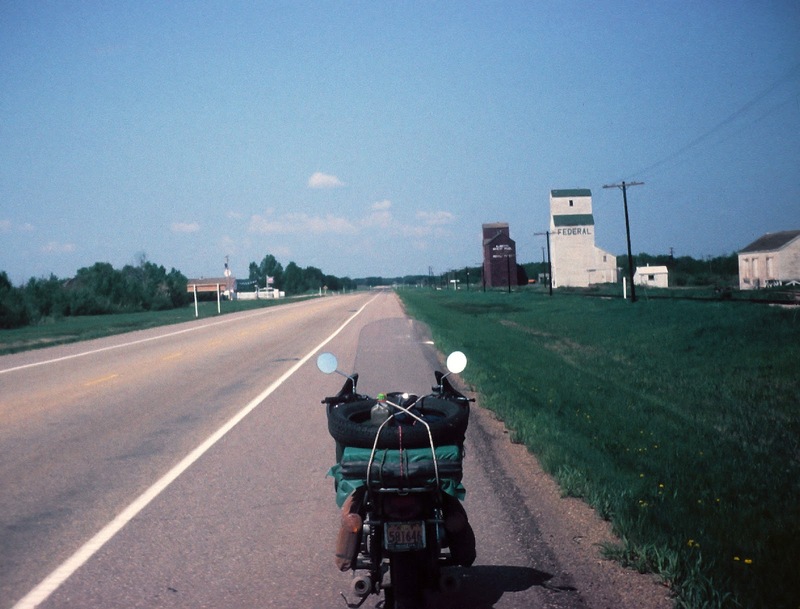 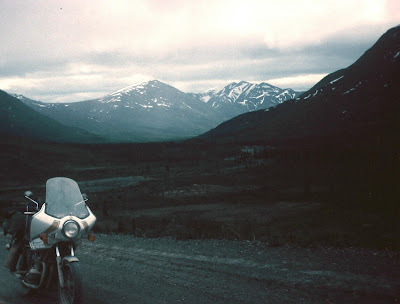 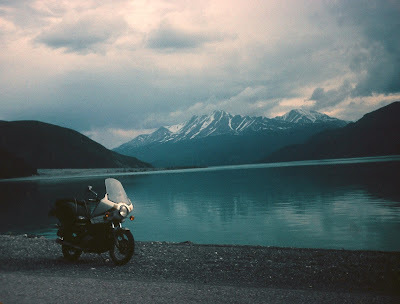 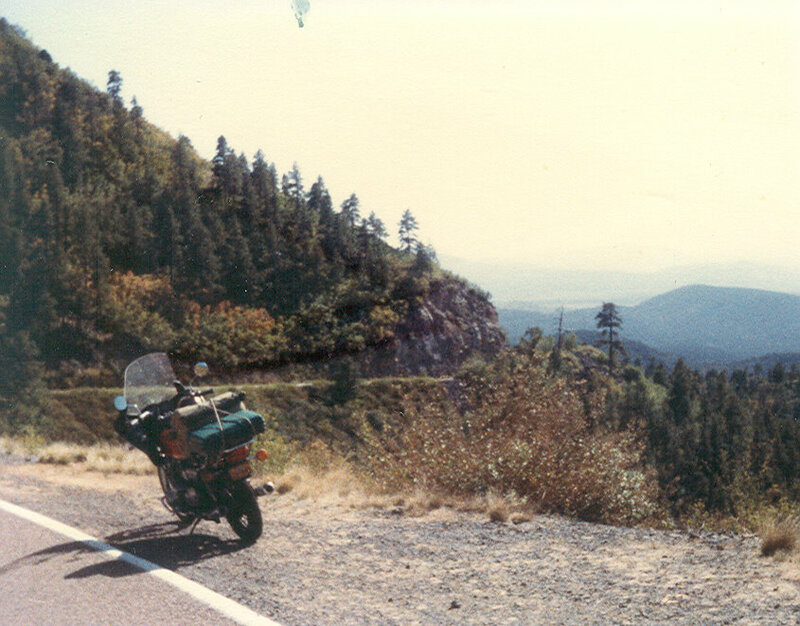 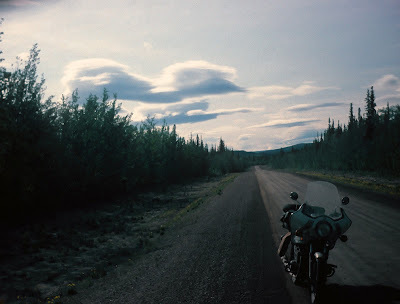 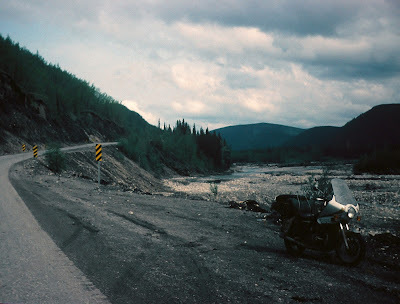 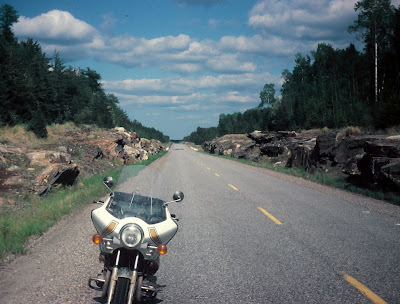 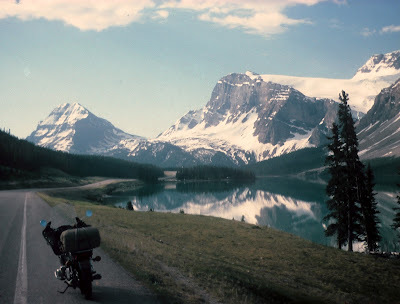 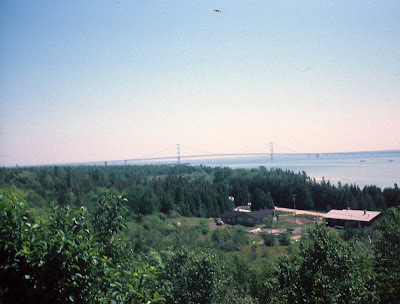 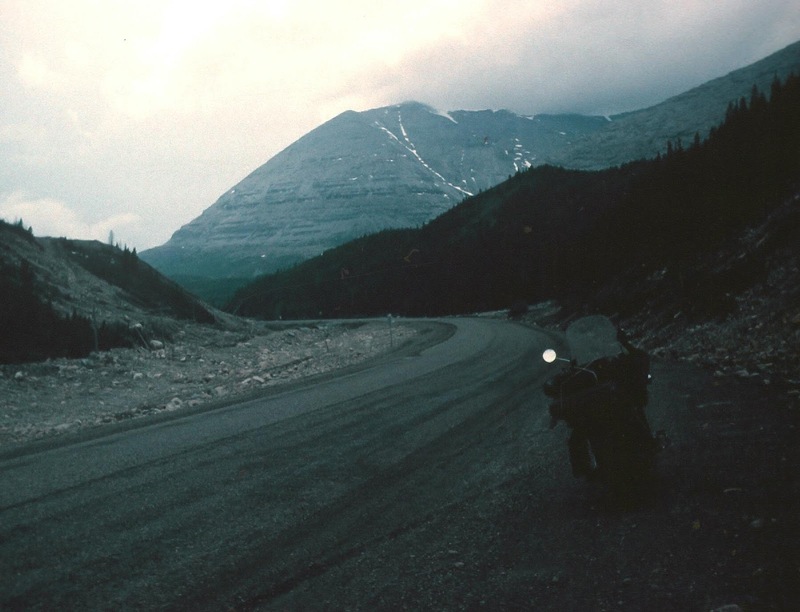 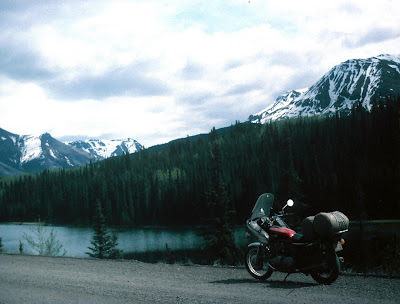 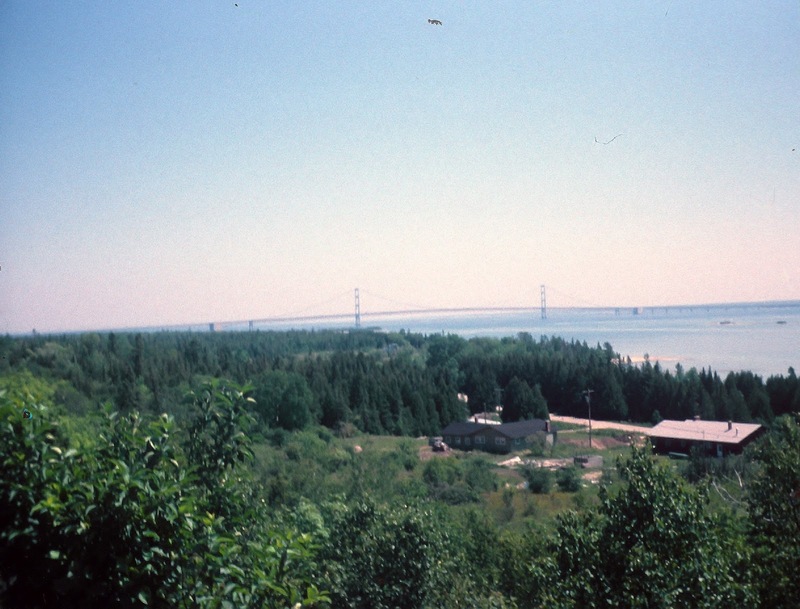 The full story of the trip is described in my book, "Motorcycling Stories – Adventure Touring from the Northwest Territories to the Yucatan Peninsula.” I traveled nearly 2,000 miles on dirt and gravel roads during the trip in all kinds of weather.I originally had the film developed into slides. 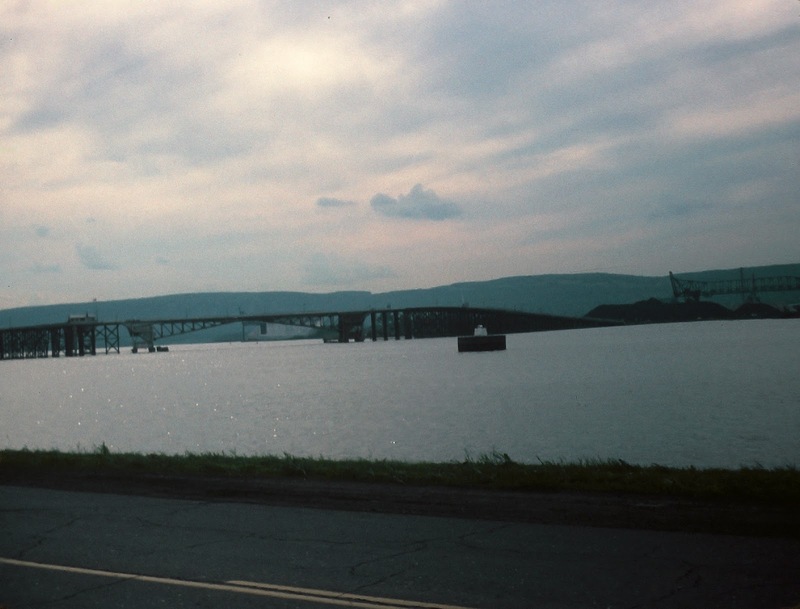 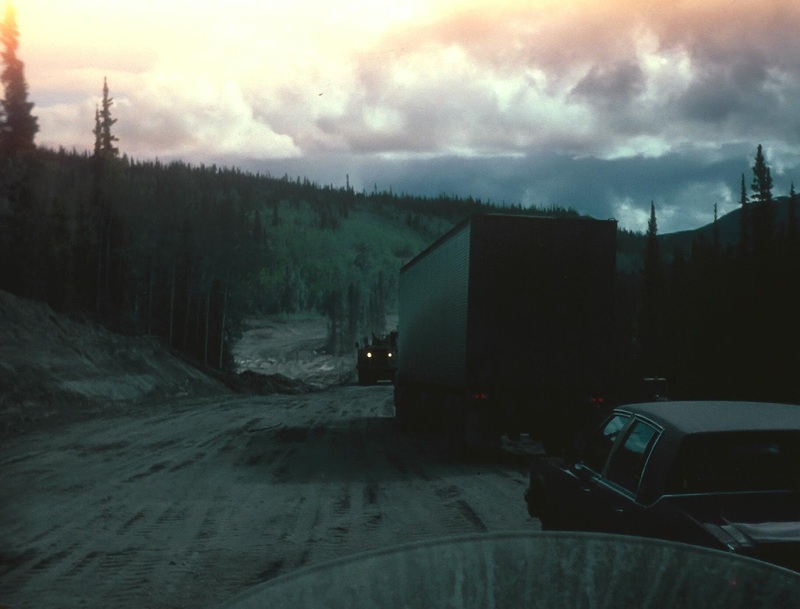 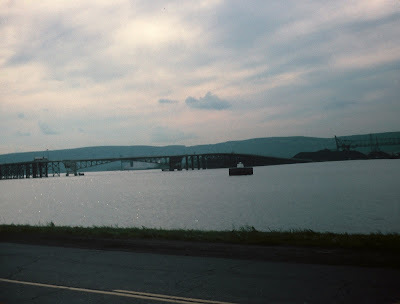 A combination of the conversion to JPEG computer files 30 years later and the rain that I rode through almost every day of the trip made some of the photos very dark. 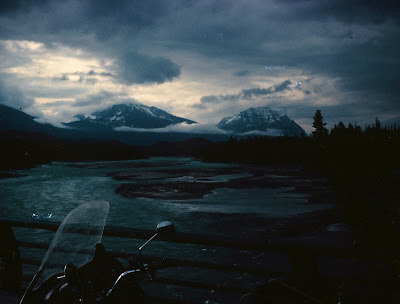 Posted below is the best of the almost 200 photos I took during the trip. 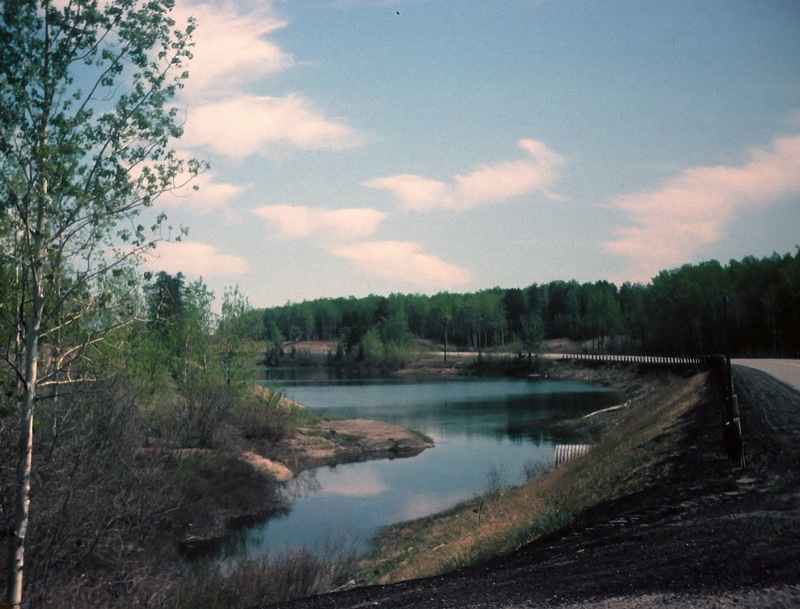 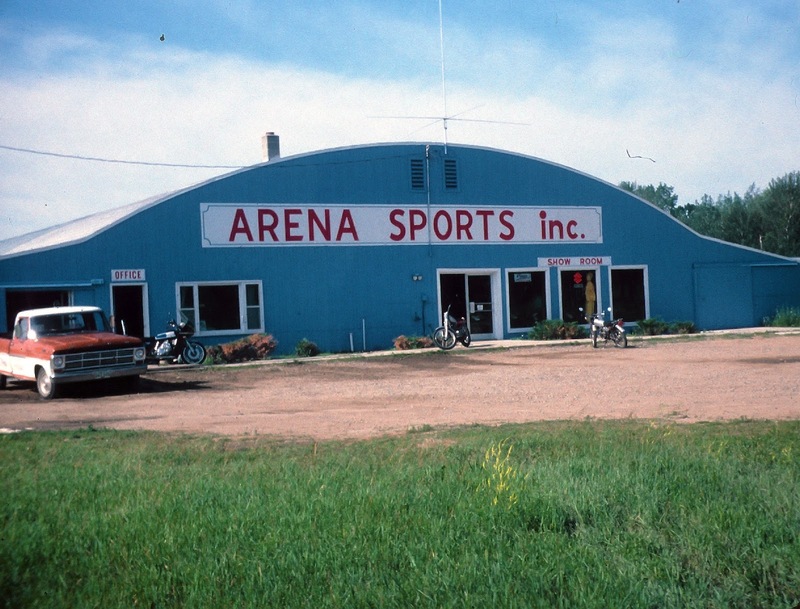 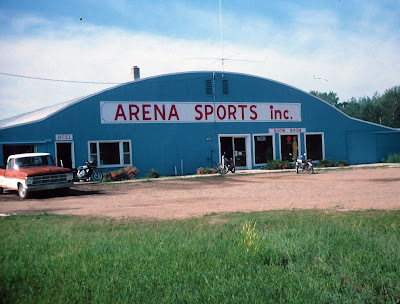 Along the Canadian border, near International Falls, MN. 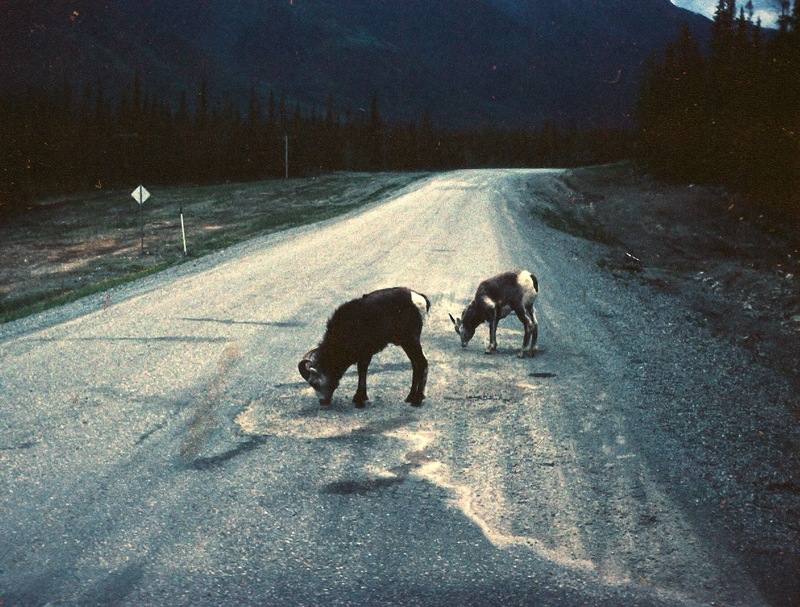 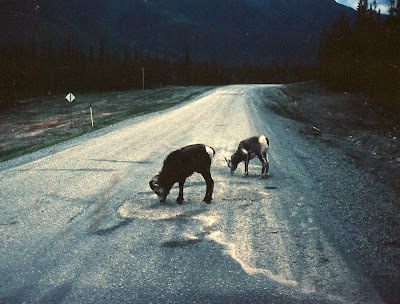 Sheep licking the calcium chloride, used to keep the dust down.